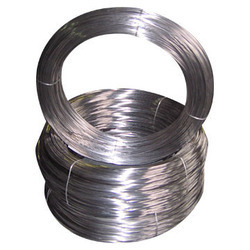 Pioneers in the industry, we offer monel 400 wires, hastelloy wires, inconel wires, monel wires, stainless steel wire rods and titanium wires from India. Monel 400 Wire is corrosion resisting, such as resistant to sea water and steam at high temperatures, resistant to salt and caustic solutions. Meanwhile, it exhibits characteristic like high strength. Monel 400 Wire has low corrosion rate in flowing brackish or seawater while performing excellent resistance to stress-corrosion cracking in most freshwaters. This Wire's good resistance to a variety of corrosive conditions contributes to the wide application in marine and other non-oxidizing chloride solutions. Monel 400 Wire is particularly resistant to hydrochloric and hydrofluoric acids when they are de-aerated. However, its high copper content, make alloy 400 can be rapidly attacked by nitric acid and ammonia systems. 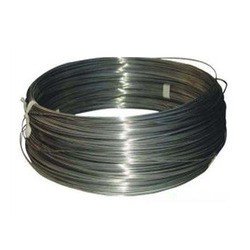 Monel 400 Wire also has good Adaptability to wide range of application temperature. It maintains good mechanical properties at subzero temperatures, as well as in temperatures up to 1000ºF, The melting point is 2370-2460ºF. Monel 400 Wire is immune to chloride ion stress corrosion cracking in typical environments. Besides, it is good corrosion resistant in reducing environments, but poor in oxidizing conditions. It is not useful in oxidizing acids, such as nitric acid and nitrous. Monel 400 Wire would be attacked in sulfur-bearing gases above approximately 700ºF and molten sulfur attacks the alloy at temperatures over approximately 500ºF. However, it is resistant to most alkalis, salts, waters, food products, organic substances and atmospheric conditions at normal and elevated temperatures. Monel 400 Wire offers about the same corrosion resistance as nickel but with higher maximum working pressures and temperatures and at a lower cost due to its superior ability to be machined. Hastelloy c22, inconel 22, nicrofer 5621Hastelloy c22 provides resistance to general corrosion, pitting, crevice corrosion, inter granular attack, and stress corrosion cracking. Inconel 22 can be used for many applications such as marine, power, chemical processing, pollution control, paper processing, and waste disposal industries. Hastelloy c22 contains chromium, molybdenum, tungsten, and iron which makes the alloy resistant to corrosion in stagnant or flowing seawater. The alloy is formed by gas tungsten-arc, gas metal-arc, and shielded metal-arc processes.Available forms are seamless pipe, welded pipe, seamless tube, welded tube, bar, wire, sheet, plate, forgings, pipe fittings and flanges. Hastelloy c276, nickel vac hc-276, inconel c276, nicrofer 5716Inconel c-276 is a nickel-molybdenum-chromium alloy with excellent corrosion resistance in severe environments. Inconel c-276 is used in pollution control, chemical processing, pulp and paper production, and waste treatment.Available forms are seamless pipe, welded pipe, seamless tube, welded tube, bar, wire, sheet, plate, forgings, pipe fittings and flanges. We offer a wide range of Stainless Steel Wire Rods which are manufactured in diverse diameters and length parameters. 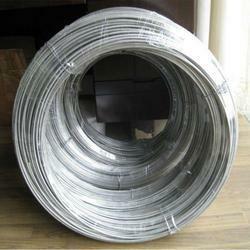 These steel round bars are manufactured from quality raw material and is available in various sizes and specifications. ASTM / ASME SA 276, ASTM / ASME SA 479 Grades : TP 304, 304L, 304H, 309S, 309H, 310S, 310H, 316, 316H, 316L, 316 TI, 317, 321, 321H, 347, 347 H, 410, 410, 420, 430, 431 & 444. 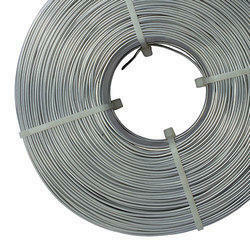 Titanium wire is the softest titanium with the highest ductility, good cold formability which gives Titanium wire an excellent resistance from mild to high oxidization. ASTM F-67 Pipe ASME SB-337, ASME SB-338 Tube ASME SB-337, ASME SB-338 Fittings ASME SB-363 Forgings ASME SB-381. Swagat Steel and alloys are offering high quality range of round bars and SS Wires that are have varied industrial applications. 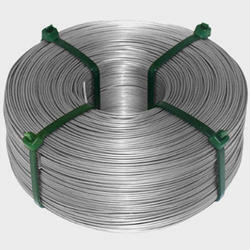 These wires and bars are fabricated from high quality material like steel, nickel alloy etc, that provide better durability to the manufactured range. Our clients find numerous applications in the construction industry as well as other commercial applications where strength reinforcement is necessary and forms a vital part of the construction where our bars and wired are used.We have a wide range which includes carbon steel wires, alloy steel wires, round carbon steel wires, round alloy steel wires and many more. 0.5 mm To 500 mm thick in 100 mm TO 6000 mm Length available with NACE MR 01-75. Reinforcing Steel Bar with Fusion Bonded Epoxy Coating.